THE ORDER HISTORYBefore the Crusades in Jerusalem, outside the walls of the holy city, there was a hospital for lepers under the patronage of Saint Lazarus. It rested under the jurisdiction of the Greek-Melkite Patriarchs of Jerusalem, and was served by a community of Armenian monks. Thus the Order of Saint Lazarus found its origins in this hospital. Unlike other military and religious Orders who settled in the Holy Land, being protected by the Latin Church, the Order of Saint Lazarus was under the jurisdiction of the Eastern Orthodox Church. After the capture of Jerusalem by the Crusaders in 1099, Knights who had contracted leprosy sought treatment at the Hospital of Saint Lazarus. 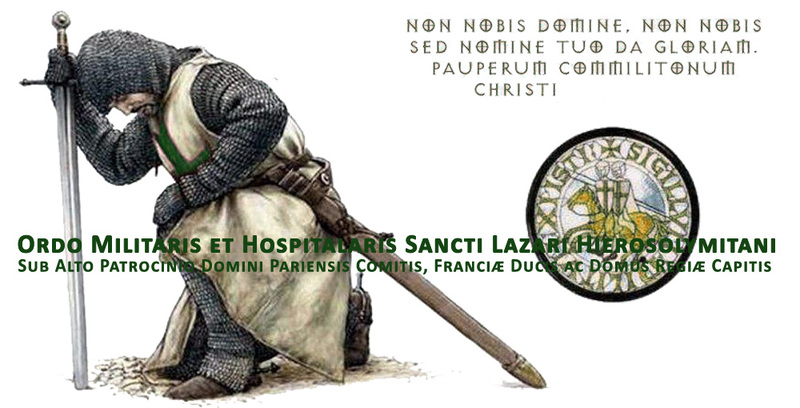 They formed a monastic community, taking religious vows whilst maintaining their chivalric duties; thus creating the charism of the Order of Saint Lazarus as both Military and Hospitaller. The Hospitallers of Saint Lazarus cared for lepers and welcomed Knights of the other Orders who had contracted this disease. Together they formed an army and fought for their Christian values ​​of life. 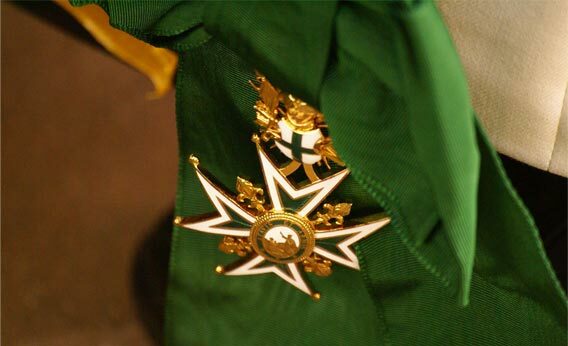 During World War II, the Order of Saint Lazarus organized, until 1940, a medical corps on the French front. 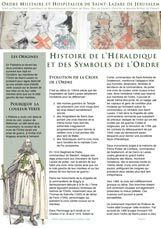 During the occupation of France, it established a volunteer corps known as the “Volunteers of the Order of Saint Lazarus” which saved many lives during the aerial bombings, particularly in Normandy and Paris. 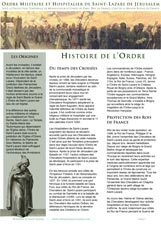 Its humanitarian activities and patriotism were recognized by the French government in 1945. 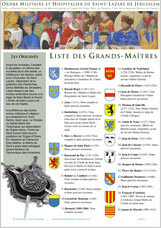 The latter awarded the Military Cross to the Grand Capitular of the Order in recognition of the brave actions of the Volunteers of the Order of Saint Lazarus throughout the war. 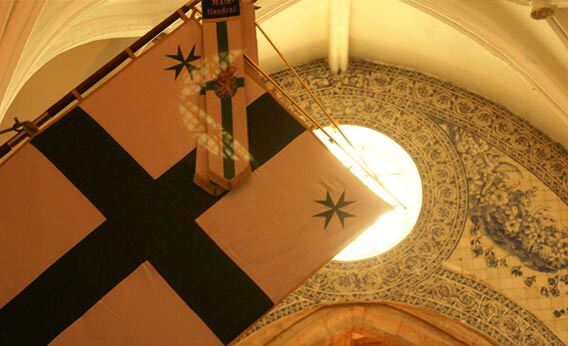 After the conflict, the Knights of Saint Lazarus resumed their Hospitaller activities and their work for Christian unity. In order to achieve this, an agreement was made with Raoul Follereau to resume the fight against leprosy. 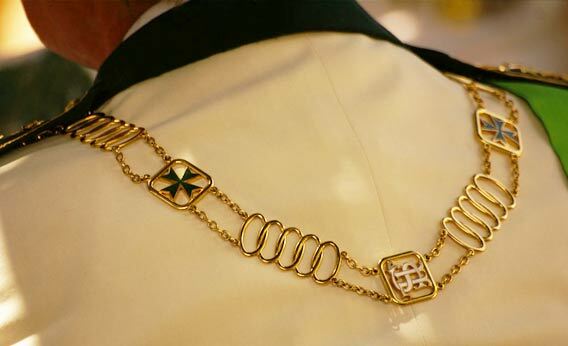 To highlight the bridge between the humanitarian vocation and the pursuit of Christian unity, the Order of Saint Lazarus invited Albert Schweitzer to become a Knight. The physician and Pastor of Lambaréné assisted the Order in its African projects. 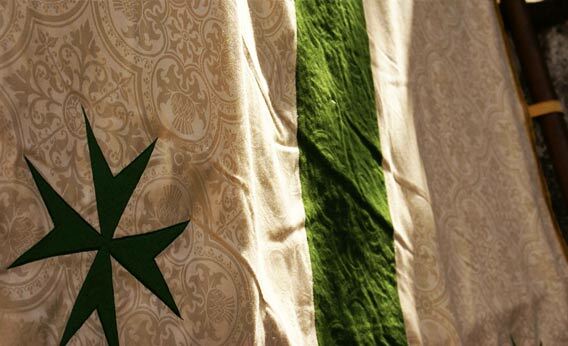 As a result of these actions the Order of Saint Lazarus has been given official recognition in a number of states: Bolivia, Canada, Austria, Croatia and Hungary.